Schererville, Ind. (September 4, 1980) – Despite having to run the final 20 laps on seven cylinders, Jim Sauter of Necedah, Wis., held off Ed Hoffman to win the 19th annual Tony Bettenhausen Memorial 100-lap late model feature at Illiana Motor Speedway on Sunday afternoon. 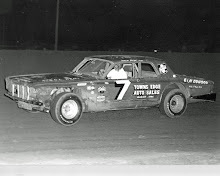 Polesitter Bobby Dotter jumped into the lead over Fred Campbell and Larry Schuler as starter Bob Adams displayed the green flag to open the chase. 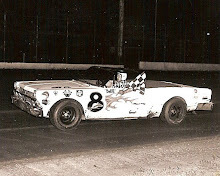 However, as the field soared across the start/finish line at the conclusion of lap 1, Fred Campbell was on top. Dotter moved back in front on the following circuit as Sauter, who had started on the outside of row four, advanced to fourth. The yellow flag was required on the sixth go-round thanks to a first turn spin by Woody Poole. When all-out action resumed, Sauter charged ahead of Dotter to annex the lead. 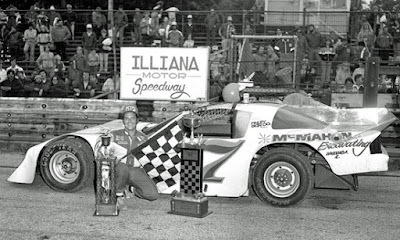 Hoffman, who finished second in the 1980 Illiana late model point standings, overhauled Dotter for second shortly afterward and immediately set his sights on Sauter. Although Hoffman was able to close the gap on Sauter in the turns, he was unable to stay with the frontrunner’s powerful Camaro in the straightaways. Meanwhile, Dotter continued to fade, yielding third to Schuler and fourth to Frank Gawlinski. 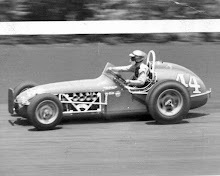 The yellow flag reappeared on lap 14 when Bill Lenza spun in the third corner. Following the restart, Sauter slowly began pulling away from Hoffman and the rest of the field, constructing a comfortable advantage. Meanwhile, Dotter’s mount succumbed to engine problems on lap 28. 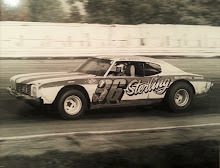 Another leading contender, Larry Berwanger, who had qualified fourth fastest, was knocked out of action by mechanical problems while running among the top six on lap 75. 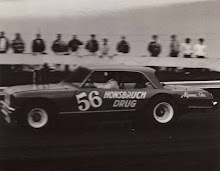 Five laps later, Hoffman suddenly began to cut into Sauter’s margin, after a cylinder in the pacesetter’s car gave way. However, Sauter had just enough power left in his mount to thwart Hoffman’s closing rush and take the checkered flag a few feet in front of the Bensenville, Ill., resident. Schuler survived constant pressure from Gawlinski, the track’s newly-crowned late model champion, to nail down third place. Gawlinski came in fourth and Tom Jones rounded out the top five.